These high end overhead stirrers for labs and mini-plants are developed and made by SHINTO Scientific Co., Ltd., a Tokyo based company, whose products carry the name HEIDON (general brand) and “THREE-ONE MOTOR” (brand for stirrers in particular). 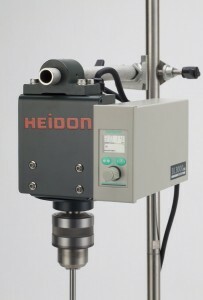 Launched in 1968, the “THREE-ONE MOTOR” series has become the market leader and No.1 brand for overhead stirrers in Japan through the manufacturer’s dedication to utmost safety, customer satisfaction and after-sales care. 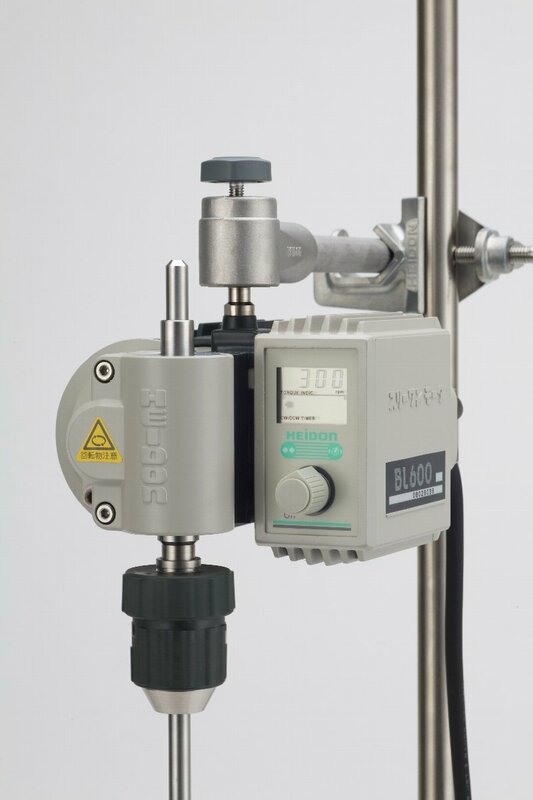 Equipped with powerful brushless motors, these stirrers are ideal for demanding applications with high viscosity or unknown reaction time. THREE-ONE MOTOR stirrers boost unique features. Feedback control. Rotation speed will stay exact, even after viscosity changes. Changes in viscosity, agitation status, reactive state of the liquid, conversion torque, revolution frequency can be monitored. Depending on the agitating condition, you can change and manage rotation speed and direction externally. You can change the rotation direction and even add a reciprocated up-down motion while stirring, to completely eliminate unmixed areas. Does not emit noise to other instruments. Does not get disturbed in its own performance even if noise emitting instruments are nearby. Both videos show HEIDON stirrers’ performance using an iodine decolorization test. The first video is to demonstrate the effect of a direction reverse. 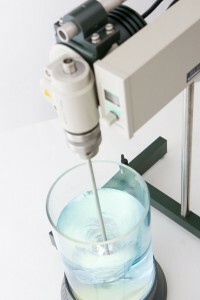 Having the same type of blade, the stirrer on the left is rotating in one direction only, while the stirrer on the right performs a change in the rotating direction during the stirring process, following a manual input. The second video shows the effect of the up-down motion. These features avoid unmixed areas, but also ensure that an uniform mixture is implemented within a short time.